Free CVS Daily Moisturizing Lotion at CVS! CVS is having a deal right now for CVS Daily Moisturizing Lotion,Use Coupon form Coupon Machine Week of 10/14 to crab this item for Free! 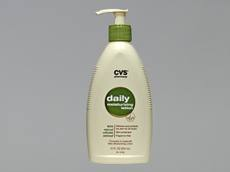 1.CVS Daily Moisturizing Lotion, 2.5 oz for $2.99. 3.Final Price for this item Free! Free Duck Brand Packaging Tape at Walmart! Free Suave Lotion After Points at Walgreens!